I’ve been fishing w. Capt. White for over 15 years. He has top notch gear, works hard and is very professional. He introduced me to flats fishing in the Hamptons for striped bass, something I thought to be utterly impossible. No matter how good the fishing is, we always have a great day on the water. I recommend Merritt to all my friends and customers and they all tell me they had a terrific time. It’s nice to know I have a guide and friend for life! In 2004 I turned to Hell’s Bay Boatworks as my sole supplier of both the Whip Ray Pro 17.8′ flats skiff and the Cape Sable 21′ center console. Hell’s Bay is not one of those large scale boat builders that pumps thousands of hulls out of their door per year. Instead their objective has been about uncompromising quality and attention to detail. 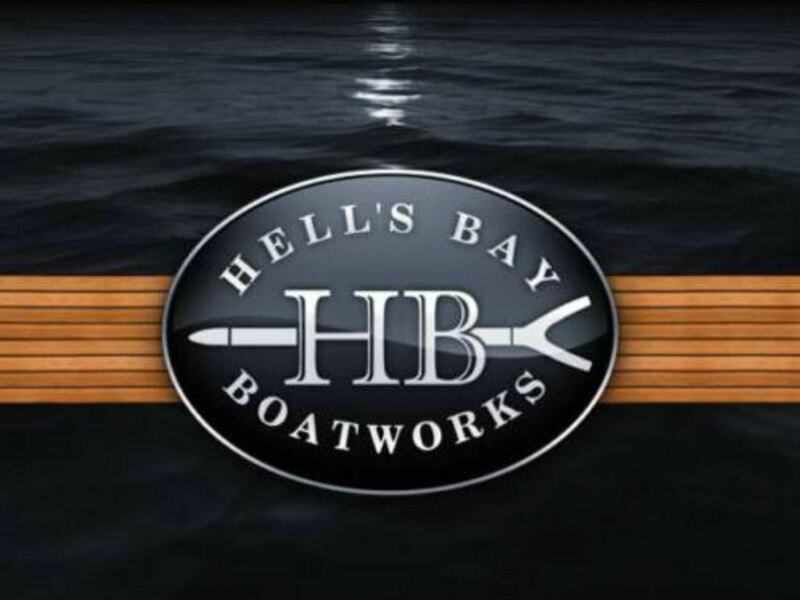 Hell’s Bay Boatworks is not an outsourcer! They are a one stop shop, a complete boatworks, involved in customization, tooling, design and rigging. With the finest raw materials at their disposal, Hell’s Bay utilizes state of the art vacuum bagged ATC core-cell construction resulting in lightweight, versatile hulls of incredible strength and stiffness. Hell’s Bay addressed my needs perfectly when it came to fishing the Fall striped bass migration off of Montauk Point, New York. 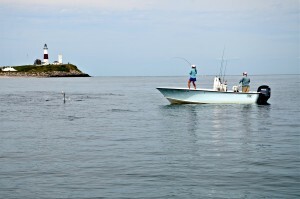 There are many days it seems when only an aircraft carrier will do when it comes to fishing the surrounding waters of Montauk. The Hell’s Bay Cape Sable 21′ outshines all other 21′ center consoles in its class at every level! 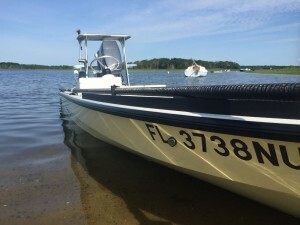 Utilizing the same state of the art construction techniques as its flats skiff brethren, the Cape Sable 21′ offers up a bombproof hull capable of handling the punishing seas of Montauk. Not only is the Cape Sable 21′ a solid, reliable workhorse, anyone who has witnessed this boat in action can attest to its inherent beauty with some of the finest fishing appointments available only on boats twice its size!! As far as a flats skiff goes, the Hell’s Bay Whip Ray Pro 17.8′ was an obvious choice. Any fisherman who has spent as much time on the water as I have knows that those idyllic sea state conditions that we all dream of are more often the exception than the norm. Whether its crossing the Boca Grande Channel in Key West or navigating the cantankerous waters of Gardiner’s Bay, Long Island, the Whip Ray Pro 17.8′ delivers! This is just one side of the equation, however. Not only does the Whip Ray Pro 17.8′ offer a dry, comfortable ride in the most severe conditions, it poles into the wind and up tide with little effort, all the while negotiating the shallowest of waters. You say this can’t be true! Hell’s Bay makes the impossible, possible! I have had the good fortune to fish with Captain White for many years in the bays of Eastern Long Island and at Montauk. Merritt is a superb guide and a true gentleman. He knows his home waters very well, and he is willing to go to any lengths to locate fish. Whether we experience an epic bite or have to work for the fish, I always have a great time fishing with Merritt. As with my boats, my fishing tackle is of the highest quality and “bombproof construction.” Rest assured that the reel drags on my equipment are silky smooth, the knots are 100% and the hooks are razor sharp! The only thing you have to be concerned about are the fish in front of you! Catch ’em up!